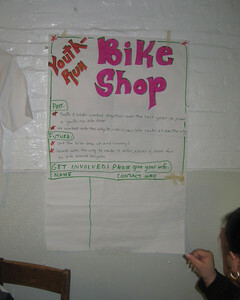 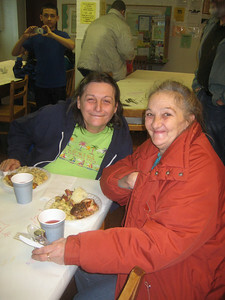 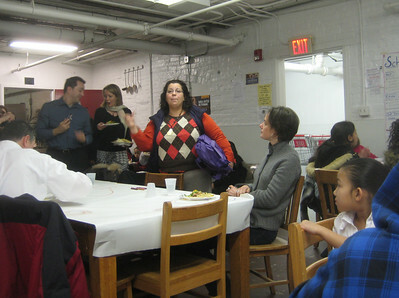 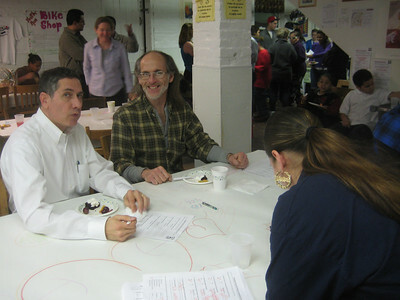 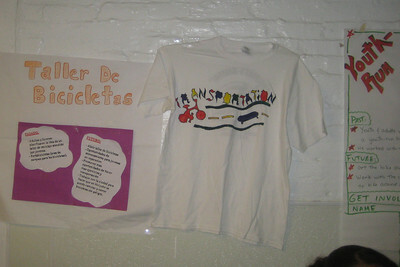 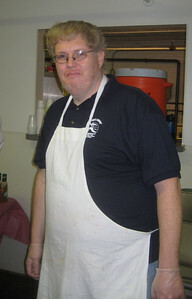 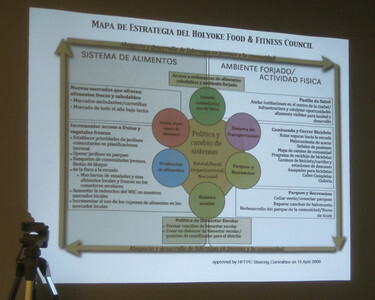 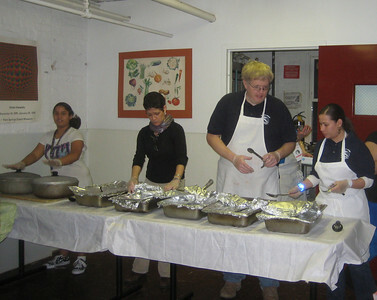 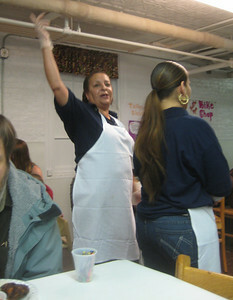 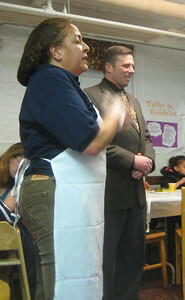 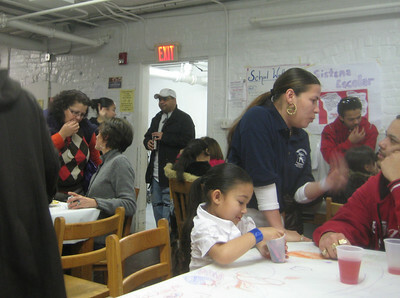 The Holyoke Food & Fitness Policy Council, a local community coalition, hosted a dinner at Kate's Kitchen on March 4, 2010. 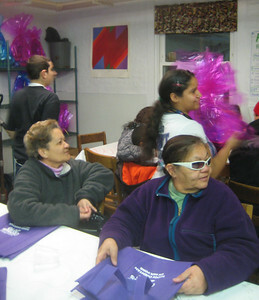 "The community dinner, organized and hosted by residents of Holyoke, will celebrate the Holyoke Food & Fitness 3-year Action Plan that focuses on healthy eating, active living and community empowerment. 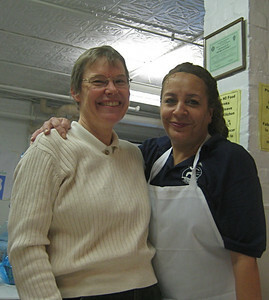 Providence Ministries/Kate’s Kitchen is celebrating 30 years of serving the Holyoke community and is excited to partner with Holyoke Food & Fitness on this event." 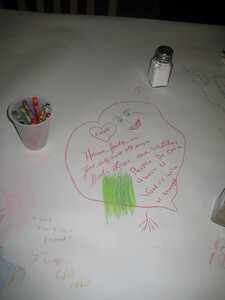 See also HFFPC 2010 album. 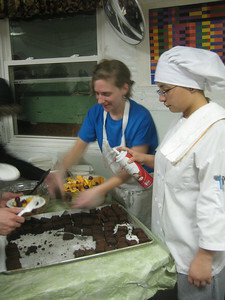 To see photos of the team that worked hard preparing of the food before I arrived, click on this Picasaweb gallery. 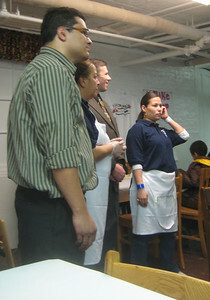 Hector was introduced as the newly hired director. 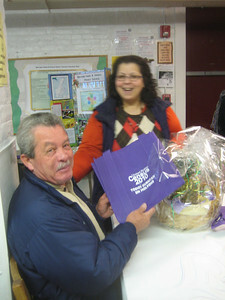 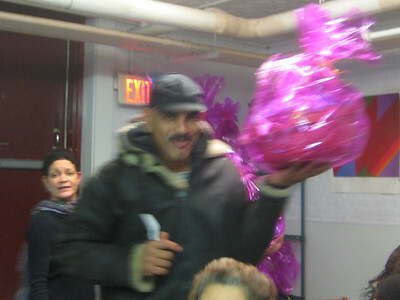 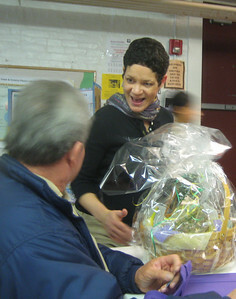 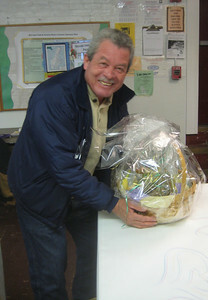 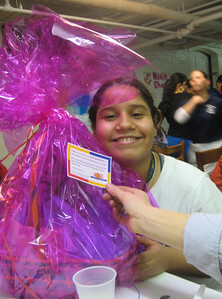 Luz won a free pass to the Holyoke Children's Museum, and a beautiful basket of fruits. 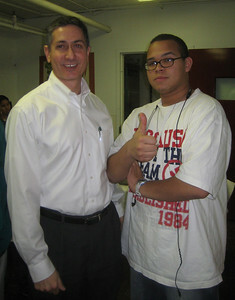 Destry recognized me from a meeting we had last month about recycling efforts. 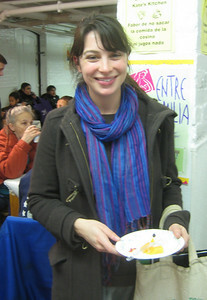 She gave me an update of progress made. 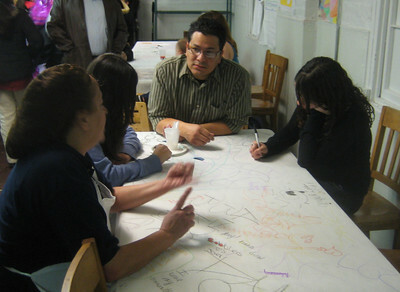 Hazel and Hector talk while Hector's daughters add to the table art.